Sunday mornings usually require a low-maintenance look. And this time of year, a simple scarf can add a little bit of comfort and much needed warmth to any outfit, especially one that most likely includes a pair of simple, stretchy, black leggings. I first discovered these leggings when I was pregnant with Emma, and have gone back to them ever since. They are super soft and the perfect length. And they are thin without being sheer. 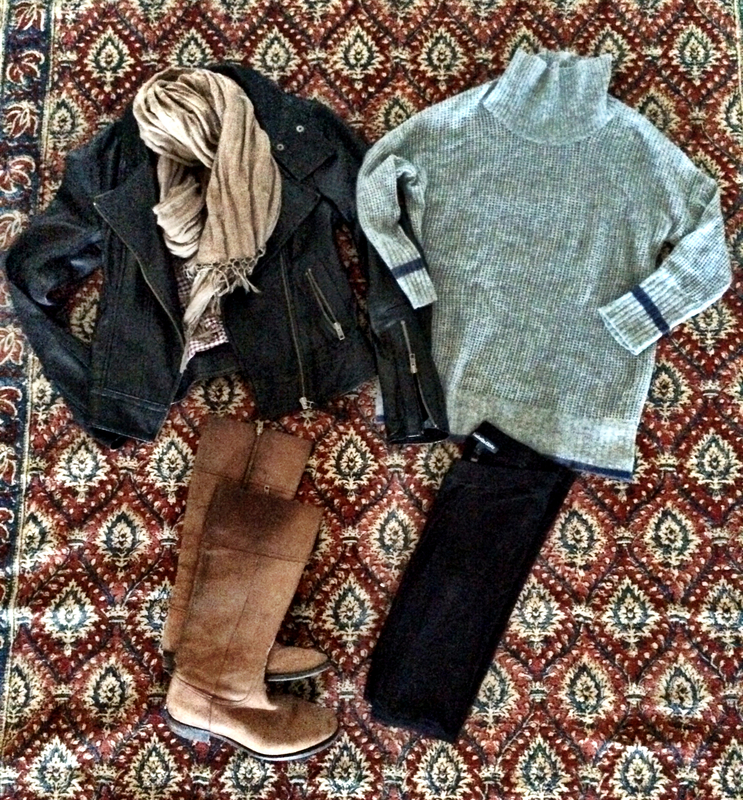 I like to couple them with a favorite lightweight sweater and flat boots. And throwing on a classic, buttery leather jacket always makes me feel instantly more polished.